Feyona van Stom was born and raised in HK of European parents. Now Australian and married for 46 years to an Australian, they have 7 children and 9 grandchildren together. Feyona’s work is all about the infinite variety of the female human form. 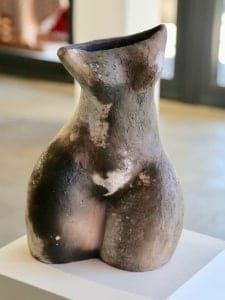 The sculptures come from the shapes she gets from her life drawing – and has been working in clay and bronze now for over 30 years. She has exhibited her works in Australia, and in USA. – where she was invited to exhibit her works for 5 years in NY and CHICAGO with SOFA. (Sculpture, Objects and Fine Arts). And afterwards in galleries in Oregon, Washington, Philadelphia, Honolulu. Feyona’s works are also in Europe, NZ and in China. In 2015 Feyona was invited to join the Internstional Sculpture, Culture and Arts Festival where 27 artists from all over the world built over 5 weeks, 27 sculptures. 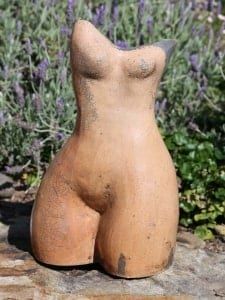 Feyona built a sculpture in clay in situ over 3 metres tall which was then molded in bronze, and this torso stands in the sculpture park in Changsha, Hunan province, China. City of 9 million people. Last year she was invited to exhibit 25 works in Bagslore, India in a beautiful gallery. Feyona has owned 2 galleries in NSW., at Whale Beach and in Woolloomooloo. She has exhibited in many galleries around Sydney, and donated works to charities. Her 2 solo exhibitions at MU studios and galleries were successful. She feels her works come into a life of their own in other houses, other lands. Currently there are works in Manyung galleries in Victoria and at MU studio and gallery in Mosman. She has been president of The Sculptors Society for the past 7 years after first taking on the vice presidency for 3 years. 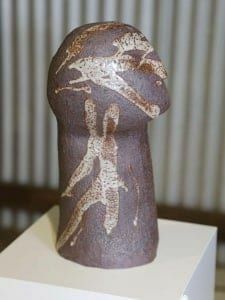 She loves that she gets to encourage artists to exhibit with The Sculptors Society in the Sydney CBD as well as in interesting venues around Sydney, and be involved in the whole art process with a team of like minded Sculptors. Life with art takes on a new force.